A proper charging system will keep the many vehicle computers/modules operating at there best for peak engine performance. From headlights to tail lights and everything in between. Drivetrain diagnosis, repair and adjustments. We will make sure your vehicles chassis/suspension and drivetrain are in safe working order. AC system diagnosis, repair and recharging. Make sure your AC system is working at its peak for those hot summer days. Fuel system diagnosis, testing and repair. A poorly maintained fuel system can cause a loss of performance, not to mention a safety hazzard. 4WD(Four Wheel Drive) maintenance, diagnosis and repair. Proper maintenance on a vehicles 4WD components can save money in the future. Air bag diagnosis, testing and repair. Air Bags(SRS – Supplimental Restraint System) are a major safety option for your vehicle. There are many components tied to an SRS system which have to be in proper working order for an air bag to deploy. This is something overlooked many times, but hope we never have to use! Comprehensive maintenance extends the life of your vehicle, including manufacturer recommended tune-ups, oil changes, chassis lubes, radiator repairs and battery monitoring and replacement. Equipment: We have more computer power/scanners than all other local shops. We have dedicated scanners and software for the European car lines. Buick, Cadillac, Chevrolet, Chrysler, Dodge, Ford, GMC, Hummer, Lincoln, Mercury, Oldsmobile, Pontiac, Saturn, and all pickups under 1 ton. Today’s vehicles are different from manufacture to manufacture, but they do have basic similarities as well. They all use engines that are powered by gas or diesel, have transmissions, drivetrain, creature features, brakes, and more. Whether it’s a European import or a Domestic breed, things do wear out and need maintenance or replacing. 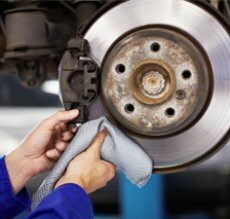 The best way to know your car is being taken care of to give you many years and miles are to be proactive in its care. All fluids that make a vehicle move eventually wear out. As miles accrue, metal fragmentation occurs causing gear oils to be contaminated with metal particles, reducing their ability to lubricate internal parts. Engine oil breaks down from combustion and a dirty environment. Brake fluid becomes contaminated from seals wearing out becoming part of the fluid. Basically, the same thing happens with every fluid in a vehicle. Every system that uses a fluid eventually degrades and then contaminates the fluid itself. The fuel quality today is a far cry from being real gas. The use of oxygenated fuels is causing some problems in our fuel injection systems. The latest design of fuel delivery is “direct injection” which in theory is awesome but the industry is having some real problems with this. An excellent way to prevent fuel system problems is to perform a fuel induction service. All gas engines still have spark plugs and they are normally replaced at 60,000-90,000 miles. 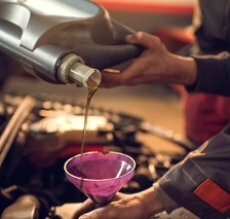 Car manufactures are coming up with some incredibly different oil viscosities. It is imperative to stay with the correct oil your car is designed for. Altering from this and using inferior fuel can cause some serious engine problems. The main goal at our shop is to help you by doing the repair your car needs. We know that taking care of the maintenance is critical and we can help make sense of what the maintenance schedules are recommending. We know that car repairs can be expensive and crop up at the worst possible times. We also know that many of you smartly use credit cards to manage your cash. It is not unusual to experience an unexpected event, like a car repair, that can crimp your cash just before the holidays or a vacation. Our interest free financing program through Bosch can help get you past that cash flow crunch that all of us experience at one time or another. It is a great way to manage auto service expenses and is accepted at most other Bosch Car Service facilities throughout the country.